Staff at the Quay Foyer in Hill Street, Poole are appealing to members of the community to donate £5 gift cards or vouchers from stores such as Tesco, Sainsbury’s, Asda and Boots, to help bring a little festive cheer to homeless and vulnerable young people living at the project this Christmas. Operated by social and supported housing provider Stonewater, the Quay Foyer at 20 Hill Street, houses local young people aged between 16 and 25 years who often arrive with very few personal possessions, many having fled from desperate and bleak situations. The Quay Foyer provides accommodation, training and support to young people in the local area with the aim of helping them to eventually live independently. Foyer staff work throughout the Christmas season to provide a Christmas meal for residents and to ensure that they have the support they need to make it through what can be a challenging time of year for many. Come along to the North Road and Lansdowne sites on the 17th November between 4-8pm. Speak to students and staff, explore brand new facilities and meet leading employers. The College has the widest choice of courses in the area including Full-Time courses, Apprenticeships, A Levels, Higher Education and courses for adults. Don't miss the chance to look around the brand new £12M complex in Poole which features a 136 seat theatre, Digital Media Centre, Forensic Investigation Room, Mac Suites and much more. A £1.3million investment has swung into Poole Port with Poole Harbour Commissioners adding a brand new crane to its fleet supporting the harbour’s busy freight port. The machine, which can be used in either hook or grab mode, will be the main crane for cargo coming into Poole which includes: bricks, timber, steel, clay, sand and roadstone. The Sennebogen Harbour Crawler Crane measures 38 metres high and weighs approximately 156 tonnes. The crane was shipped from Germany and has now joined the rest of the port fleet of four cranes, with an estimated value of around £4.2million. 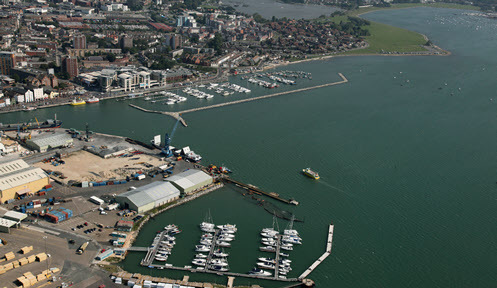 Commenting on the investment Jim Stewart, chief executive of Poole Harbour Commissioners said: "The new crane will be used to move anything from bulk cargoes to hook work and everything in between. "It’s essential that we make efforts to continually improve efficiency in order to ensure our operations, and those of our customers, remain competitive to allow Poole to develop and grow. Poole-based St Edward’s School was awarded an E4education PiXL award for outstanding GCSE results in 2015. This year, 73 per cent of GCSE students at the school achieved five or more A* to C grades including English and Mathematics. This is an increase of 17 per cent on the results achieved in summer 2014. A Poole opticians is focusing on raising awareness and funds for Alzheimer’s Society and supporting World Alzheimer’s Day by serving tea and cake and holding a raffle on Tuesday 22 September. Scrivens Opticians & Hearing Care at 145 High Street, is looking to raise as much money and awareness as possible as part of its ongoing support for Alzheimer’s Society, its chosen charity for this year. There is growing evidence of a link between uncorrected hearing loss and dementia, including Alzheimer’s. As part of its fundraising activities the branch has also pledged to donate £1 for every hearing screening during 21 to 26 September. A unique shopping experience is on offer to cash-strapped students with exclusive discounts and giveaways. With loans burning holes in their pockets, crowds of student shoppers are hoping to grab a bargain at the Dolphin Shopping Centre’s student event on Monday September 28. For one night only, the Dolphin Shopping Centre in Poole will open its door after hours for students to enjoy exclusive discounts of up to 20 per cent off brands including New Look, Dorothy Perkins, Burton and Miss Selfridge. For the last two years the event has proven hugely popular with retailers having a record-breaking night of sales, as people queued outside the shopping centre. Along with giveaways and competitions to keep everyone entertained, DJs from Fire Radio will be taking to the decks. Centre manager, John Grinnell, hailed the previous student events a huge success and the perfect platform to remind everyone to shop in Poole. Student Shopping UK, which organises the night, works with universities across the country and is well known for putting on a good event. There will be tasty treats, cookery demonstrations and more when the Dolphin Shopping Centre hosts its inaugural Taste Festival in July. The event promises shoppers two days of the best cuisine in Dorset, with a range of food and drink from some of the county’s best suppliers. The festival, which is to be held inside the shopping centre on Saturday 25 and Sunday 26 July from 10am to 5pm, will see more than 10 stallholders exhibiting their finest goods, together with regular cooking demonstrations throughout the day. Manna Kitchen, Sweet Candy Treats, Cherry Tree Preserves and Beales Café are just a few that will be exhibiting, alongside Brew House, who will also be demonstrating at the free event. Dolphin Centre manager John Grinnell, said: “We are working with a number of food establishments to bring you the best in local foods. It’s a real opportunity to highlight what Poole has to offer, and helps put Poole firmly on the map as a ‘foodie’s heaven’. The Dolphin Shopping Centre is holding its very first Taste Festival on Saturday 25 and Sunday 26 July, and is on the hunt for local suppliers across Dorset to bring the best of what they have to offer to this exciting free event. A range of food and drink suppliers, from a variety of different cuisines, will be attending the two day event and with establishments such as Manna Kitchen, Sweet Candy Treats, Cherry Tree Reserves and Beales Café already setting up stalls; it is set to be an event not to be missed. The Dolphin Shopping Centre is confident that its Taste Festival will put Poole firmly on the map as a ‘foodie heaven’ and is looking to be a great success. The Dolphin Shopping Centre will be hosting an array of musical performances on Saturday June 6 to mark the D-Day commemorations and the 70th anniversary of VE Day. From 10.30am through to 1.30pm, local musicians will be entertaining shoppers in Falkland Square with a selection of songs from the 1940s. The Ambassador Big Band will play tribute to the day of remembrance; with the 18-piece group playing an assortment of swing and jazz melodies. From midday, the band will be joined by the Bittersweet Harmony Choir. The choir, who will be dressed in 1940s attire, will then take centre stage to sing songs from the era at 12.30pm. On Saturday 25 April the Mayor of Poole, Councillor Peter Adams, opened a brand new accessible holiday home at Rockley Holiday Park on behalf of DEBRA – the national charity that supports individuals and families affected by Epidermolysis Bullosa (EB). The Rockley caravan is the newest addition to the charity’s holiday home portfolio which enables families living with EB, a painful genetic condition which causes the skin to blister and tear, to take a low cost holiday and enjoy some much needed respite. Contact the Elderly, the only charity solely dedicated to tackling loneliness and isolation among older people, is urgently appealing for volunteers living in Poole to spare just a few hours each month to help with the running of local tea parties – and enjoy a cuppa and a cake themselves! The charity aims to relieve the acute loneliness of isolated older people, aged 75 and above, who live alone, by organising monthly Sunday afternoon tea parties for small groups within local communities – providing a regular and vital friendship link every month. Each older guest is collected from their home by a volunteer driver, and is taken to a volunteer host’s home, where they join a small group for tea, chat and companionship. The charity is hoping to set up a new group in Poole, however, it is currently struggling to recruit: volunteer drivers who are able to collect older guests from their homes and accompany them to the gathering each month and a volunteer coordinator to help organise the monthly tea parties. Contact the Elderly’s National Volunteer Support Officer, Suzan Hyland, said: “The charity is committed to offering a lifeline of friendship to the oldest and loneliest people, but our hopes of extending this lifeline to even more older people in Poole are currently fading due to a real shortage of volunteers in the area. In December this year, Poole born Sarah Hornby and three team mates will be taking part in the Talisker Whisky Atlantic Challenge, the world’s toughest ocean endurance race - 3,000 nautical miles from La Gomera in the Canaries, to Nelson’s Dockyard in English Harbour, Antigua. In 1966 Sir Chay Blyth and John Ridgeway became the first men to row the Atlantic. During their 92-day passage they faced hurricanes, 50ft waves and a near starvation diet. This trip laid the foundation for the Talisker Whisky Atlantic Challenge. More people have climbed Everest or been into space than have successfully rowed the Atlantic, but the race now takes place every year, with more than 30 teams from around the world participating, and with a 90-day limit on the time allowed. Crews suffer from sleep deprivation, blisters, salt sores and the physical extremes that the row inflicts from rowing in shifts around the clock for weeks on end, facing all the raw elements of the Atlantic Ocean. Surfing-inspired fashion retailer Saltrock has confirmed it will be opening a new store at the Dolphin Shopping Centre, bringing at least five jobs to Poole. The family lifestyle brand has been growing rapidly over the last 12 months with stores opening across the UK. The new signing is the latest in an ongoing plan for the Dolphin Centre to attract innovative brands to Poole. Saltrock was formed in 1988 when South African-born surfers Angus and Ross Thomson arrived in Cornwall and began designing and printing T-shirts with surfing motifs as a way of raising money to fund their travels and love of surfing in the 1980s. The distinctive designs took off and Saltrock is now a major leisurewear operation with clothing for men, women and children plus a network of shops mainly in the south west of England. John Grinnell, Dolphin Centre manager, said: “We're really looking forward to Saltrock's arrival, it’s exciting news and an ideal addition to the retail offering here. Katie Goodfellow, Marketing Manager for Saltrock added: “It's been an incredible year for Saltrock and we're thrilled to be adding to our collection of new stores by opening a shop in Poole. 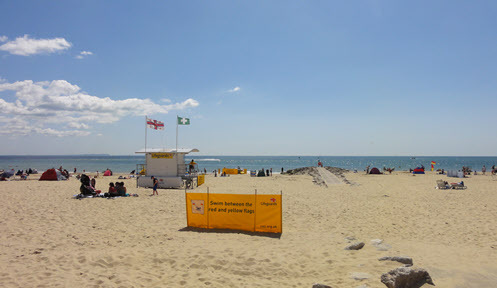 Poole’s outdoor lifestyle and golden beaches make it the perfect match for us." With just days to go until the first sailing of Condor Liberation, Condor Ferries is busy making the final preparations for 27 March. The organisers of the Poole Harbour Boat Show have announced a host of exhibitors already signed-up for this year’s show. N ames including Sunseeker, Fairline, Windy, Stingher Ribs, Bayliner and Sealine are set to exhibit at the free public event which will take place on the weekend of May 9 and 10. 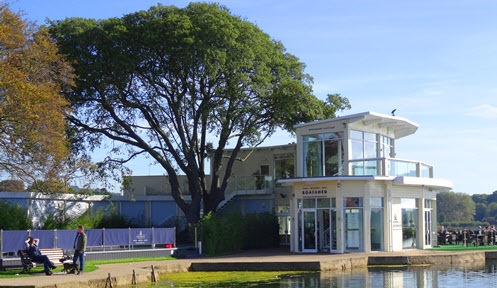 Together with Spinnaker Yachts, Quicksilver and Cobalt, a number of other marine companies will also be showcasing exciting new products and innovations on Poole Quay and at Poole Harbour Commissioners’ award-winning marina, Poole Quay Boat Haven. Jim Stewart, Poole Harbour Commissioners’ chief executive, said: “2015 is as a vital year for the marine industry, and with a number of confirmed exhibitors so far, the show is set to be a spectacular way in which businesses and marine enthusiasts can come together. 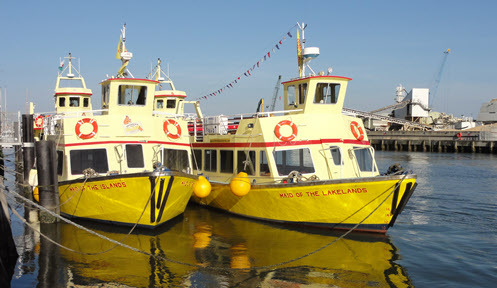 Supported by the Borough of Poole and Poole Tourism, the show will include on-the-water activities courtesy of the local yacht clubs, and the RNLI will be playing a key role across the weekend. TS Pelican and Stavros S Niarchos will also be alongside the Quay and open to the public at dedicated times. Following last year’s hugely successful Eco Lounge event, the Dolphin Shopping Centre will once again host a fun environmentally-friendly initiative to entertain children this February half term. The second instalment of the event is the ‘Eco Garden’, whereby a unit in the shopping centre will become a green haven and live art exhibit, where children will be inspired to get hands-on and give new life to recycled household items. From Tuesday 17 to Friday February 20, families will be invited to join in with the free activities and crafts on offer, ranging from converting recycled bottles to colourful wall-mounted potted plants provided by Chestnut Nurseries, to creating elaborate mood boards and collaborating on their very own take-home recycled creations. The inspirational recycling art activities will take place daily from 11am to 4pm on the ground floor next to Thorntons. Pink Floyd was number one in the charts when Jim Macgregor started working as a self-employed marine pilot in Poole Harbour, where he was responsible for navigating the ships. After 35 years, Jim who is Poole Harbour Commissioners (PHC) longest serving contractor has now retired. Jim first went to sea at the age of 16 and joined his first ship in Liverpool for the Merchant Navy in 1962. He served in the Navy for 17 years and was promoted to Captain in 1974. He became a pilot in Poole at the age of 35, and during his time he manoeuvred tall ships, cargo ships and leisure ferries in and out of the harbour. Penton, the Wilson family owned and operated South of England Motor Group, has now opened its doors to its latest Citroen and DS dealership just off Holes Bay Road, in Poole. Just opened, the brand new Citroen dealership on Sterte Avenue West in Poole boasts a massive 12,000sq ft showroom and workshop area with a colossal multi-make 150 used car forecourt. The space available allows the sales department to not only show the full Citroen and DS new car range, but also to stock the largest selection of used cars in the area with over 100 multi-brand vehicles held on site. The brand new purpose built Citroen showroom is complimented by one of the first ‘DS Salons’ in the UK. A purpose built DS range configurator area allowing you to design your own award winning DS model with an almost endless permutation of build options and extras. The new aftersales department features a full suite of the latest servicing, diagnostic and repair equipment, and offers the most current MOT facilities available, with a full stock of Citroen parts and accessories. This is now the third Citroen dealership within the Group, making a triangle of sites between Poole, Christchurch and Salisbury. Penton have been busy ensuring they have fully trained all their staff ready for the opening, to ensure Penton’s high customer service standards are met right from the start. Penton have been working with Citroen as a Main Dealer since 1990 in Salisbury, and in Bournemouth and Christchurch since 1995, and now become one of the largest privately owned Citroen dealer groups in the UK. Tara Flanagan is on her way to the Open Mic UK GRAND FINAL and needs your votes! 18 year old Tara Flanagan, a sixth former from St Edward’s School in Poole has made it through to the National Grand Final of the music competition Open Mic UK. After taking part in auditions alongside thousands across the UK, and impressing the Open Mic UK judges, Tara has battled through the Auditions, Regional Final and the Area Finals. She is one of only 4 singers from the Southern Area Final in the 16 – 20 category who has successfully gone through to compete in the Grand Final taking place at Birmingham NEC on Saturday 24 January 2015 at 4pm. There is an audience text to vote system for the competition. Audience votes will be added to the judge’s scores on the day to determine the winner. You can support Tara by texting OPEN62 to 86222 to vote for her to win the competition! Votes cost £1 plus one standard rate text message. Tara says “I am absolutely ecstatic about getting through to the Grand Final of Open Mic UK! It feels like such an achievement and I am so grateful. I cannot wait to perform!” Tara will be singing another song she has written for the Grand Final titled “I Know” which will also be on her debut E.P. that she has recorded at River Studios in Southampton. Naomi House & Jacksplace Rainbow Run is coming to Dorset. The Naomi House & Jacksplace Rainbow Run is a fun run with a colourful twist. Scheduled for 10th May, the 3km run will take place at Baiter Park, Poole. Runners at the event will be pelted with bucket loads of multi-coloured powdered paint as they run or walk their way round the picturesque waterfront route. Dorset’s event will be the first official Rainbow Run to take place in the county and is organised by Naomi House & Jacksplace. Naomi House & Jacksplace are the only hospices offering a 24 hour, 365 days a year respite service for Dorset’s life-limited children, young people and their families. Additionally, the charity cares for families during emergencies and at the end of a child’s life. Money raised at the colourful event will go towards the charity’s Caterpillar Appeal – a bid to fully refurbish their hospice building. This fun run is not about speed or fitness, and there are no timing chips. The goal is to have a great time with friends and family, and create an amazing, colourful spectacle for the hundreds of onlookers that are expected. Traditionally, participants in such runs wear a white t-shirt but accessorise with colourful wigs, hats, tutus and leggings. There will be no less than 4 paint stations along the route, each with ample amounts of powdered paint to ensure everybody goes home covered in colour. The Rainbow Run is the hospice’s largest event in aid of the Caterpillar Appeal, and fundraisers at the Sutton Scotney charity hope the event will raise more than £30,000 towards the building work. The Caterpillar Appeal was launched in 2014 by appeal patron Alastair Stewart OBE, and construction work at the Sutton Scotney site is due to be completed later this year. Plans include increasing the size of children’s bedrooms and bathrooms, creating dedicated play and music therapy spaces and the installation of high specification technology needed by children in the charity’s care. The charity’s Southampton Rainbow Run in 2014 attracted around 1,000 participants and raised close to £40,000 towards the hospice’s appeal. The city was painted with a sea of colour as hundreds of runners made their way around the course to the sound of steel drums and applause. Registration for the event is now open and pre-booked places cost £12 for adults and £8 for children. The event itself will begin at 11am and is open to anyone over the age of 8. The paint used at the rainbow run is made from a safe and biodegradable form of potato starch. 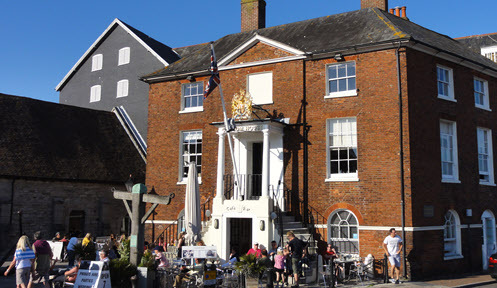 Poole Harbour Commissioners (PHC) has raised a total of £2,246.50 throughout the year and has split the money between two charities. Julia’s House and Youth Cancer Trust were selected by the staff at PHC and both charities received a donation of £1,123.25. Both charities were very grateful and sent the Poole organisation letters explaining where the money would be used. Youth Cancer Trust, a Bournemouth charity that provides a refuge from real life for young people aged 14 to 30, will use the funds raised by PHC to directly support the holidays of two youngsters at Bournemouth’s Tracy Ann House.